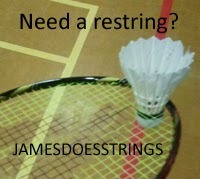 THERE were two new singles winners, including one with a brace of victories, to her name, in the Duchy of Cornwall 30th Open Badminton Championships, which was staged, successfully, at Carn Brea Leisure Centre, Pool, Near Redruth, over the weekend of September 22/23, writes John Tresidder. In addition, it proved a most fruitful weekend for the Devon County Squad, who harvested two titles - the Mixed Doubles and Men’s Doubles, with Somerset also going home with a brace - the Women’s Singles and a share in the Ladies’ Doubles. 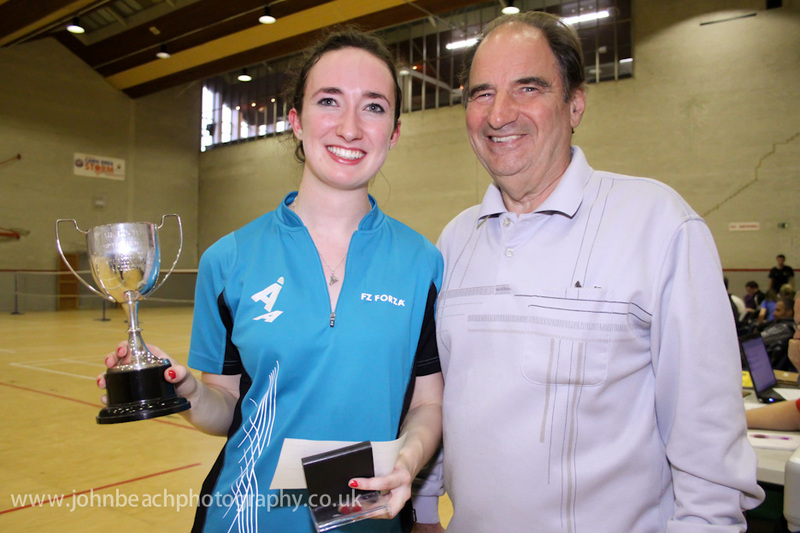 The prestigious Event, A Tournament in the BADMINTON England Senior Silver Circuit, with the prize-fund having been swollen to: £1,340, including £320, for the sixteen losing semi-finalists in all five main events. Furthermore, the famous Tournament, promoted by The Cornwall County Badminton Association, is known, affectionately, as one of the most enjoyable and best organised on the English Badminton Circuit. Another bumper overall entry of 115 players competed in the Championships, with competitors drawn from a good spread of 17 English and Welsh Counties, together with a welcome return party from Guernsey, in the Channel Islands and a large squad from Devon County. 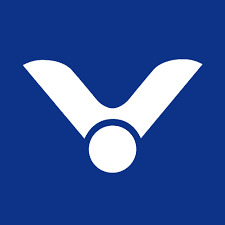 DAY ONE saw Amy Reddaway and Wojtek Poszelezny, unseeded, lifting the Men’s and Women’s blue ribband singles events, which attracted a promising entry of 64 and 24 competitors, respectively. Somerset’s Miss Reddaway, the second favourite, with her first English Open victory, won fairly convincingly, in the final, 21/12, 21/13, over Vicki Jones, the defending champion and Welsh ranked number three lady, whilst Wojtek, Sussex-based and the former Polish No. 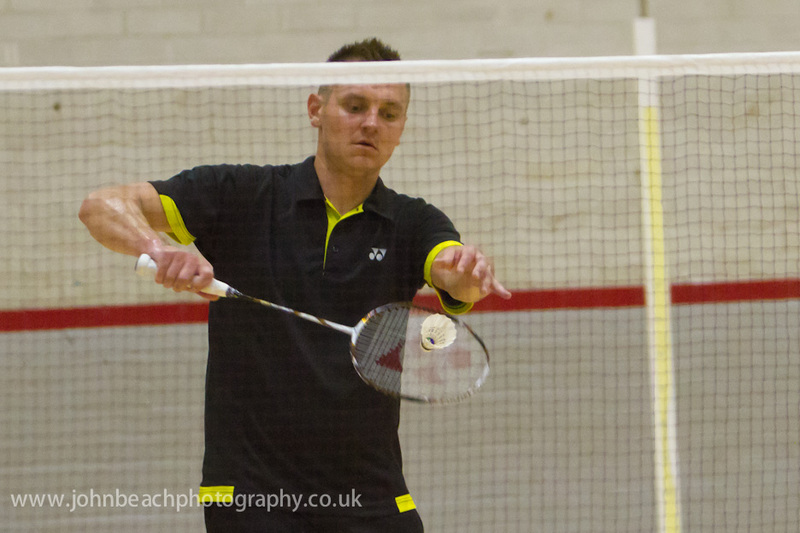 3 Junior, overcame the challenge of last year’s finalist, Will Hilton-Jackson, his county compatriot, 21/15, 21/15. 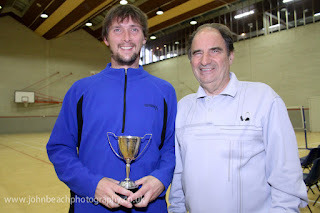 Wojtek, in the 1/4-finals, was seen to take quite a scalp, in a thriller, against Chris Hotchen, Gloucestershire, the top seed, winning, 18/21, 21/18, 23/21, with Hotchen thus denied a hat-trick of Duchy wins, in the process. The Mixed Doubles Event commenced with six round-robin groups on the first day and culminated, on the Sunday morning, with the final being contested by Jamie Roberton and Claire Hannah, who went on to defeat the Host’s County number one players, James Whetter and Johanna Philp, from the St. Austell Bay and Camelford Clubs, respectively, 21/19, 21/16. Jamie and Hannah (pictured above), were also thrilled to lift an inaugural Duchy Title in the process. 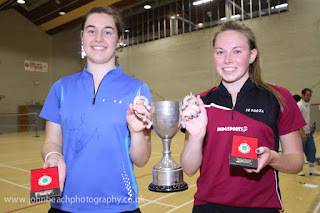 Meanwhile, Amy Reddaway, made it a brace of Duchy victories, when she teamed up with Phillipa Broadbent, Dorset, to win the Women’s Doubles – a glorious first English Open win for Phillipa, as well. The popular Ladies duo, who were both “over the moon”, beat Sarah Gray and Alice King, the Sussex/Essex partnership, the top seeds, 21/11, 19/21, 21/19, in a pulsating 3-ended decider, final. Indeed, a few minutes after the exciting encounter, there was a pleasant surprise for the popular Miss Gray (pictured above), who was awarded the Duchy’s coveted Sporting Spirit Trophy. Devon’s Corby Brothers, Dan and Matt Corby (pictured above), the 2nd seeds, won their second Duchy Men’s Doubles when they accounted for Will Hilton-Jackson, and Mark Burtenshaw. the Sussex Outfit, seeded one, 21/16, 21/19. Hilton-Jackson, the champion in 2010 and 2011 was therefore unable to achieve a remarkable hat-trick with three different partners, in successive years. One & All were in agreement that the power play and exhausting rallies, would not have looked too much out of place on an International court, at times and had the spectators on the edge of their seats, throughout – therefore, congratulations are afforded to all four gentlemen. Parochially, there was an excellent entry of over thirty from the Host County, including numerous youngsters and the Cornwall Youth Badminton (CYB), Under-17 squad, sponsored by Dairy Crest Davidstow, complete, all gaining invaluable experience and practice, for the County Senior “Restricted” Championships, over the following weekend. Shane Maton, the County “Restricted Champion, in 2011 and Bron Wotton, won the “Plate” singles events, with Maton, in tandem with Dave Harrington, going on to win the Plate Doubles. And, on day one, Rose Willis reached the semis of the Ladies’ Singles, losing to the eventual champion. An interesting fact was that Miss Wotton, in the final, defeated her Leedstown Cousin Georgia Higgs, who was a London Olympic Flame Ambassador in the Spring (May 18) – arriving in the Aircraft, gold-coloured, at RNAS Culdrose, with Lord Coe, Princess Anne and David Beckham. Camborne’s 14-year-old Kellen Moore and Amy Polglase, aged 13, coached by Clif Morcom, Redruth, fought through two rounds of the Women’s Doubles, to the semi-finals – before going down, valiantly, in their debut Senior Tournament, 21/13, 21/11, to Sarah Gray and Alice King, seeded one. However, best wishes from Cornwall County Badminton, to the two young ladies, who collected £20 prize-money, apiece, in respect of their prowess on the court. 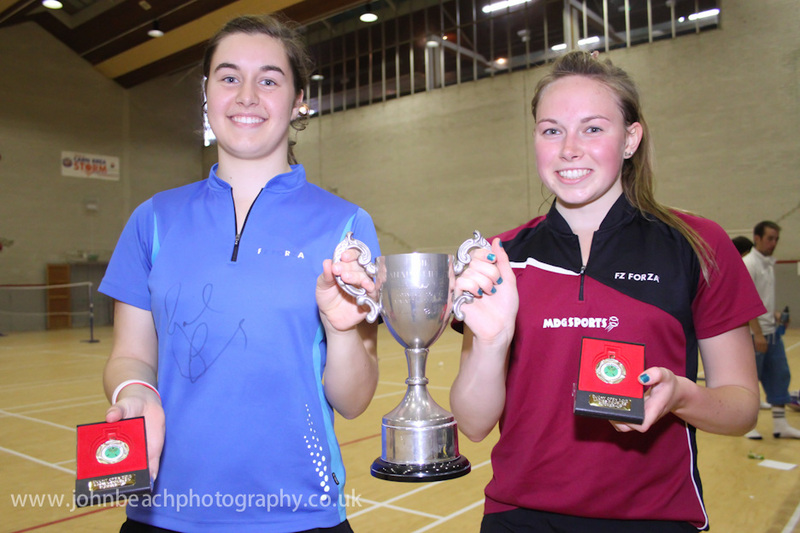 And, back to Day One, it was a memorable start for Miss Polglase, ranked seven at England U-13 level, last season. The dedicated and personable youngster, reaped a notable and well deserved win, when she out-pointed Bron. 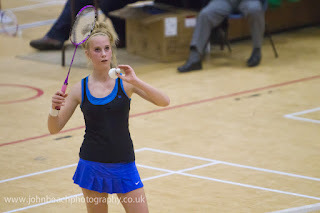 Wotton, the Cornwall 1st Teamer, 21/18, 21/14, in the Women’s Singles 1st Round. 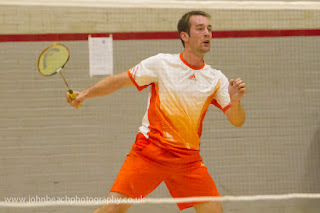 Firstly, Guernsey Island, led by André Trebert (Parent and Coach), a Duchy player, from past years and, secondly, a talented squad of five - led by George Bevan, Coach, a former Duchy Doubles champion and Alistair Jones (Parent, formerly Devon County), the 1996 singles winner - drawn from Berkshire and Buckinghamshire Counties, whose Club and Base is the BADMINTON England “Win Badminton Performance Centre”, High Wycombe, Bucks. 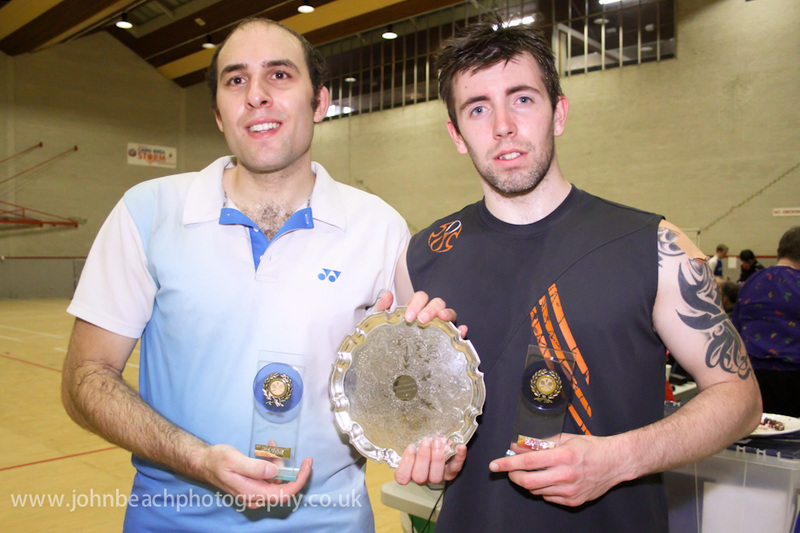 GRAPHIC SOLUTIONS – www.graphicsols.com – the Computer Company, from Farnborough, Hampshire, together with TAG SPORTS, Newton Abbot – www.tagsports.co.uk, in conjunction with YONEX UK LTD, have joined forces, once more, as the Tournament’s joint main sponsors. Meanwhile, The Countryman Inns Free Houses Group, from Piece, Carnkie, Near Redruth, together with Dales Renault, based at Scorrier & Summercourt and Linden Homes South West Ltd (Newton Abbot), are amongst the other generous Backers, of the Championships. The Committee expresses its thanks to the Pupils of the local Roskear Primary & Nursery School, Roskear, Camborne, who worked with Linden Homes South West, to provide the delightful artwork, displayed on the hall banner. Alan Williams, who was honoured to receive BADMINTON England National Lifetime Service Badminton Award, at the Event, in 2011; David Burgess, the retired Referee, from Barnstaple, North Devon. Badminton Players, Anne and Colin Ransley, together with Lester Lashbrook and Dave Philp, did a sterling job as helpers, including with the popular “wine and nibbles” social event. Following the retirement of David Burgess, Barnstaple, after twenty five years of sterling service, the Duchy Committee’s Tournament Secretary, Linda Collins, in her opening address, welcomed the players and Allan Potter, from Gillingham, North Dorset, as the Referee, newly-appointed, for the weekend’s play. James Whetter (pictured above), Cornwall’s number one player, was the recipient of the Best Cornish Player Trophy. This was reward for him reaching the Mixed Final, (accompanying Jo Philp), as a seed and the Men’s Doubles 1/4-finals, in tandem with Guy Michell, his St. Austell Bay club-mate. The Late Pat Hollands, MBE (Tournament Secretary, 1982-1987); Beverlie Horton; Alan Williams; John Tresidder. 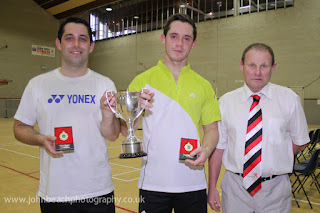 Cornwall’s David Hunt and Paul Harvey, registered the Men’s Doubles in 1982, the inaugural year and repeated this feat the following year, before also winning the Wessex Open, to become the England’s’ 13th ranked partnership. Also, Guernsey’s Sally Podger, nee Leadbeater, England ranked one and World No. 5, won a hat-tick of triple-crowns in the first thee formative years. And, it was also most fitting, that one of the Duchy’s largest ever crowds of supporters and spectators, gathered, to enjoy the scintillating badminton play, over two days. Allan Potter, the Referee, the sponsors, advertisers, players, supporters, spectators and helpers, alike, as well as Sharon Christie, Carn Brea’s Events’ Manager, Leisure Centre Management & Staff, together with Pat Bevis and her ZestCafe Ladies, who served up the delightful and well received lunches, over two days. The Duchy Committee would like to thank John Beach for his delightful commissioned pictures on 22/23 September, 2012. DIARY: Finally, the 31st Duchy Open is scheduled for September 21st and 22nd, 2013, with everyone being most welcome. Final: Poszelezny bt. Hilton-Jackson, 21/15, 21/15. Final: Miss Reddaway bt. Miss Jones, 21/12, 21/13. Final: Corby and Corby bt. Hilton-Jackson and Burtenshaw, 21/16, 21/19. Sarah Gray and Alice King (Sussex/Essex), seeded one, bt. 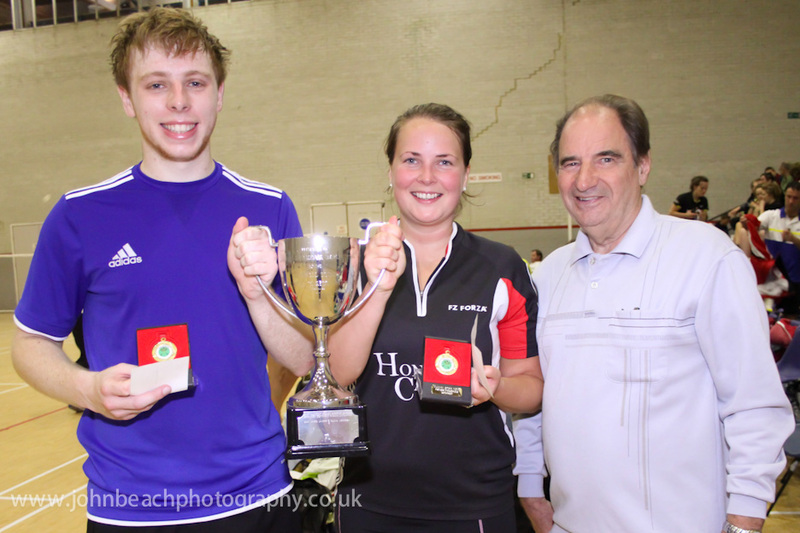 Kellen Moore and Amy Polglase (both Cornwall) 21/13, 21/11. Final: Roberton and Miss Hannah bt. Whetter and Miss Philp, 21/19, 21/16. 4). Women’s Doubles: Suzanne Colwill and Leanne Debenham (both Devon), bt. Harriet Birt and Sarah-Jane Trask (both Somerset), 21/10. 5). Special Awards: Sporting Spirit: Sarah Gray (Sussex); Best Cornish Player: James Whetter, St. Austell Bay Club.